Senegal’s 5.3 million voters went to the polls on Sunday, June 29th, to elect their representatives at the local and departmental levels, in a vote largely seen as a confidence vote in the government of President Macky Sall. Overall, the elections were peaceful without major organizational issues, despite a record number of party lists. Voters were presented with a choice among 2,700 party lists or independents, up from 1,600 in the last local elections held in 2009, for 602 local offices. Initial results from the polls that closed at 18h00, Dakar time on Sunday are already trickling in, and complete results are expected by the end of the week. The Senegalese Radio Television Station RTS is streaming results by polling station as they become available: http://www.rts.sn/. The high number of party lists in competition for Sunday’s poll is a result of the fragmentation of the alliance Bennoo Bokk Yaakaar (BBY) that brought President Sall to power in March 2012. In a number of cities even the president’s own party, the Alliance for the Republic (APR), presented competing lists. The APR is a relatively newly created party, in existence only since 2008. It is accused by its coalition partners of having an exaggerate appetite for power. In 2009, the APR only won control of a few local governments, a situation it was clearly intent on changing. Dakar was a key battleground for these elections. The mayorship of the capital of Senegal is generally seen as a natural launching pad for a bid for the presidency. Facing off were the incumbent mayor Khalifa Sall of the Socialist Party (PS) – a member of the BBY alliance – and current Prime Minister Aminata Touré (APR), among others. They both stood for election in Grand Yoff, one of the 19 communes that form the district of Dakar. Following decentralization reform in 2013, mayors are now indirectly elected by the councilors of the communes that make up the district, a process that increases the challenges of securing reelection for the incumbent. According to preliminary results, it would appear that Khalifa Sall won the vote in Grand Yoff. In the lead-up to the polls, Sall created a new coalition, Taxawu Ndakaru, with the participation of civil society and even opposition parties, in an effort at securing reelection. With the 2013 decentralization reform, the mayor of Dakar has lost some control over the resources of the individual communes that form the capital district, but the position remains highly coveted given the visibility it provides and the size of the electorate in Dakar. Other hotly contested cities include St. Louis and Fatick. In St. Louis, Mansour Faye, a brother-in-law of President Sall, seeks to wrestle the mayorship from incumbent Cheick Bambia Dièye – although Dièye (like Khalifa Sall) is a member of the BBY alliance that supported Macky Sall in the presidential run-off in 2012. This entry was posted in Africa, Senegal and tagged Africa, local elections, Macky Sall, Senegal on June 30, 2014 by Sophia Moestrup. Ukraine held presidential elections exactly one month ago on 25 May 2014. Avoiding the need for a runoff, Petro Poroshenko won the presidency outright with 54.7% of the vote. The next day, the President-elect announced that Prime Minister Arseniy Yatsenyuk would retain his position, stating that he did not see any grounds for dismissing Yatsenyuk from his post and that he hoped for effective cooperation with the head of government. Arseniy Yatsenyuk was elected Prime Minister on 27 February in the middle of the political crisis in Ukraine, winning the support of 371 of the 450 members of parliament. Despite his young age (40), he already boasts an impressive track-record. He served as economy and foreign minister as well as parliamentary speaker during the presidency of Viktor Yushchenko (2005-2010). He was also offered the position of Prime Minister by the former president Viktor Yanukovych in 2010, but he declined it. Throughout the anti-government protests that began in November 2013, Yatsenyuk was a constant fixture on Maidan, the central square in the Ukrainian capital, Kyiv, where the largest demonstrations took place. There is no requirement in the Ukrainian constitution that the Prime Minister be dismissed upon the inauguration of a new president. However, all former presidents of Ukraine, in one way or another, have replaced the Prime Ministers when they took office. Given Ukraine’s recent history, the relationship between the president and prime minister is a crucial one and it may either break or make the presidency. For instance, former allies and leaders of the Orange revolution, Viktor Yushchenko and Yulia Tymoshenko, spent the majority of their mandates in a political gridlock. In 2008, President Yushenko even accused his then Prime Minister Yulia Tymoshenko of treason and ended up testifying against his former ally during her trial for abuse of power in 2011. Many have argued that Tymoshenko’s presidential ambition was one of the main reasons for the animosity between the two (she later ran in both the 2010 and 2014 presidential elections). Their long-term conflict is frequently blamed for derailing Yushchenko’s presidency and bringing the country to the brink of economic collapse. Currently, Ukraine operates under the premier-presidential constitution, similar to the one that was in place during most of Yushchenko and Tymoshenko’s tenures. Ukraine has always been uneasy about its executive-legislative relations and spent the last decade playing a tug-of-war with the powers of the president and the parliament. The Ukrainian constitution has been changed three times since its adoption in 1996 (in 2004, 2010, and 2014), going back and forth on how powerful the president will be vis-à-vis the parliament. The current president is only two and a half weeks into his term. Thus, it is hard to evaluate his relationship with the prime minister. So far, however, both seem to agree on a number of important issues. Both are strong advocates of Ukraine’s membership in the European Union. Both men are also strong supporters of decentralization of Ukraine and delegating more powers to the regions. In fact, in a televised address just last week the President proposed constitutional amendments to this effect as a part of his peace plan. Yatsenyuk did not himself run for presidency in the last election, although his party backed Yulia Tymoshenko. For his part, Poroshenko seems to have no intention of altering the balance of power between the president and the prime minister. During the plenary session of Parliament last week, he stated that he was committed to the premier-presidential system and that the current constitution gave him enough powers to fulfill his pre-electoral promises to the Ukrainian people. President Poroshenko has no party of his own. He is backed by Kyiv Major Vitali Klitschko, whose party holds less than 10% of seats in parliament. Constitutionally, his role is limited to representing the country in international affairs, administering foreign policy and overseeing national security and defense. The President is in a difficult position. His relationship with the Prime Minister, whose party, Batkivshchyna (Fatherland), is currently the largest block in parliament with 85 seats, may prove crucial in order to push through the anti-corruption, economic and decentralization reforms that Ukraine desperately needs. See Constitution of Ukraine, 21 February 2014, art. 106. This entry was posted in Europe, Ukraine and tagged Petro Poroshenko, Presidential powers, Semi-presidential system, Ukraine on June 25, 2014 by Svitlana Chernykh. With a highly unpopular President at the helm of the country, the prospects for the opposition pan-Green camp led by the opposition DPP party to recapture the presidency with a concurrent a legislative majority – the latter has proven elusive so far for the pan-Green camp – appear probable. The KMT captured the Presidency and a significant majority in the legislature in 2008, raising concerns that the formidable largesse of the party may pave the way to a one-party dominant system. Fortunately for the country’s political development, those concerns proved unfounded: there has been a steady move back to viable competitive elections, although the KMT managed to retain the presidency and the legislative majority in the 2012 elections. But the progressive erosion of popular support for the KMT and President Ma has not ebbed, as evident in the low points of 2014 captured by the 24-day student-led occupation of the legislature and campaigns initiated to recall legislative members supportive of President Ma’s agenda. Under these conditions, it is probably not surprising that many see – or hope to see – the 2014 November local elections as the bellwether for the 2016 national elections. In this context, the DPP and pan-Green camp has sought to identify and field viable candidates for the local elections to capture a victory-sprint towards the presidential and national races. In a recent development, physician Ko Wen-je bettered DPP-candidate Pasuya Yao in the second stage of the pan-Green primary process for the Taipei city mayoral race and will likely be supported by the DPP for the election. Interesting or competitive or controversial cases tend to draw attention, and a highly-watched race such as the Taipei mayoral elections is no exception. Unfortunately, problems are particularly evident under scrutiny, and the usual suspects of strategic voting or weak-party identification pepper the two-stage nomination process in the pan-Green camp. As a result, it may be useful to point out a larger picture of transparency or accountability in the party nomination process. Since the late 1990s, the DPP has implemented a two-stage primary process that pitches DPP-aspirants who win in telephone polls in the first-stage against independent pan-Green candidates in the second-stage. While that process has been criticized – most recently, former Vice-President Annette Lu withdrew from the primary, citing failure of DPP “integrity” and raising the prospects that she may run as an independent for the mayoral race of Taipei City – it has, at a minimum, brought greater transparency to the nomination process in the pan-Green camp. Transparency is important: party-candidate nominations have come under significant criticism in several East and Southeast Asian emergent democracies, including South Korea, the Philippines, and Indonesia, with many viewing the process as the root of corruption in politics. Given the tepid party-identification in these emergent democracies, party-institutionalization needs to balance candidate-centered campaigns that bring popular support – but which are liable to become personality-oriented rather than party-oriented – with party-building efforts that focus on broadening the party-base. Having a clean nomination process is an important step in this process, and should be emphasized as one of these party-building efforts. This entry was posted in Asia, Taiwan and tagged candidate-centered, local elections, party-building, party-nomination, Presidency, Public support on June 23, 2014 by Fiona Yap. President Mahama of Ghana announced a series of ministerial appointments over a period of weeks from late May into June. Most of the new nominations and reassignments focused on deputy ministers, although regional ministers were also affected as were a few key sector ministers, such as the Ministers of Health, Defence, and Lands and Natural Resources, among others. Mahama’s decisions are also being challenged by supporters of his party, the National Democratic Congress (NDC), who decry the alleged imbalance in the representation of different regions within Cabinet. NDC cadres have condemned protests held by party faithful in the Upper West and East regions. Dissatisfaction is also spreading in the Volta region, popularly referred to as the NDC’s “World Bank” due to its high levels of electoral support for the party. Criticism in the Volta has prompted speculation about the NDC’s prospects in the 2016 elections, which is expected to be a close contest between the NDC and Ghana’s main opposition party, the National Patriotic Party (NPP). In a particularly unusual development, Mahama’s latest reshuffle has led to criticism from both the government and opposition side in Parliament. The controversy arose when two front benchers disagreed over who should stand in as Minister of Roads and Highways to answer questions on the floor of parliament. This episode prompted NPP legislators to decry the government’s confused “game of musical chairs.” The Minority leader followed with a statement criticizing the Executive’s failure to present a list of appointees to Parliament, arguing, “This House must critically look at bringing new appointees and reshuffled ministers to the appropriate committee of Parliament for questioning.” The Speaker of Parliament backed the statement of the Minority Leader, averring that all ministers, whether freshly appointed or re-assigned to a new post, should be referred to Parliament for endorsement. This criticism of the Executive’s unilateral action and the calls for a more robust vetting process go against the grain in Ghana, where despite democratic advances in other areas, the Parliament remains relatively weak by regional standards. Ghana’s highly competitive two-party system has led to a pattern of entrenched partisan politics in the legislature with ruling party MPs generally opting to support the Executive rather than join in bi-partisan efforts to ensure more parliamentary independence. It is unclear as yet what the result of this latest wave of criticism directed at the Mahama administration will be. Political tensions in Ghana are running high, notably due to fears over government spending and the rapid accumulation of debt. Frustration over the reshuffle is in part a reflection of these broader concerns. Still, this dissatisfaction may lead to some substantive change if Parliament continues to push, as suggested by the Speaker, to more fully assume its constitutional oversight powers. This entry was posted in Africa, Ghana on June 20, 2014 by Michaela Collord. If it is true that there is a correlation between presidentialism and the recent failures of democratic consolidation (something that has not been established yet, as far as I know), and if it is true that these episodes of failure rarely if at all involve a military coup, we need to formulate new explanatory hypotheses. What is it about presidentialism that may lead to the entrenchment of incumbents in power? Conversely, which characteristics of parliamentary institutions might prevent such entrenchment? Take a few recent examples. In Slovakia, Vladimír Mečiar was hampered in his authoritarian ambitions by repeated defections from his coalition, which eventually resulted in a vote of no-confidence in 1994 and the failure to form governments in 1998. This happened in spite of Mečiar’s control of a plurality of legislative seats. In Hungary, on the other hand, the overwhelming legislative support for Prime Minister Victor Orbán allowed him and his party to introduce changes that are widely seen as non-democratic. Similarly, as Sebastian Saiegh shows using an example of the fall of Bolivian president Sánchez Lozada in 2003,[i] the danger for democratic consolidation posed by an unconstitutional transfer of power should be attributed to situations which are in their nature opposite to deadlocks. As Saiegh suggests, in some circumstances the government may actually govern too much. Consequently, what threatens democracy is not so much that there is a deadlock between a constitutionally irremovable president and legislature but the fact that the two are aligned and can change the status quo in a direction that may suit their interests but not those of democracy. Deadlocks and minority governments may be precisely what save democracy from being suffocated by aspiring autocrats. If this conclusion reminds the reader of Madison and his view about separation of powers, it is not a mere coincidence. What kind of constitution is best suited to help consolidate democracy? Unfortunately, in my view, some scholars believe that there is a clear answer to this question and are not shy to advocate their views. For instance, in an opinion piece published in July 2013, Bruce Ackerman, a professor of Law and Political Science at Yale University, stated that the failure of the military rulers who had just taken power in Egypt to replace presidentialism with “a European-style parliamentary system,” “virtually guarantees a repetition of the tragic events of the past year.”[ii] Furthermore, as he argues counterfactually, the adoption of a parliamentary constitution after Mubarak’s departure “could well have avoided the current upheaval and bloodshed in the first place.” The reason, according to him, is that “the presidency is a winner-take-all office,” which may be suitable for a country such as the United States, “where well-organized parties contend for the prize,” but “is a recipe for tyranny in places like Egypt, where Islamists have powerful organizational advantages in delivering the vote.” Although Ackerman stands out in the forcefulness and clarity with which he defends a constitutional overhaul in countries that adopt presidentialism, he certainly does not hold this opinion alone. Yet, we may ask: is this view warranted? [i], Sebastian Saiegh, Ruling by Statute: How Uncertainty and Vote Buying Shape Lawmaking (Cambridge: Cambridge University Press, 2011). [ii] Bruce Ackerman, “To Save Egypt, Drop the Presidency,” New York Times, July 10, 2013. 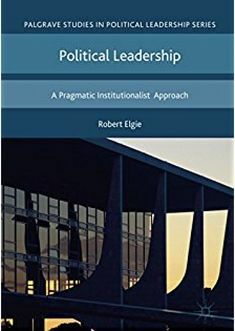 This entry was posted in Presidentialism and parliamentarism and tagged democratic consolidation, parliamentarism, presidentialism on June 19, 2014 by Robert Elgie. This entry was posted in Presidentialism and parliamentarism and tagged democratic consolidation, parliamentarism, presidentialism on June 18, 2014 by Robert Elgie.